This was the forth meet for eNeRGy girls team this year. This event was hosted on home turf. 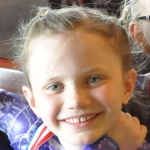 Natalie bested her overall performance from the previous week. This was the third meet for eNeRGy girls team this year. This event was hosted at the Greensboro Collesium. Natalie landed her best overall performance of the season. 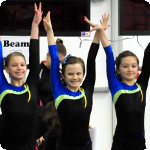 This was the 2nd eNeRGy girls meet for the season and was hosted and held in the eNeRGy facility in Raleigh. The Prep Op Gold team had a good showing landing 1st place overall. This event was Five Star’s first event in Bardstown, KY this season. The “My Old Kentucky Hom Invitation was hosted at Nichols County High School. In keeping with last year’s promised tradition, I created another “Wykleville – year in review” scrapbook. I took most of the posts from Wykleville as the foundation and added many additional photos. 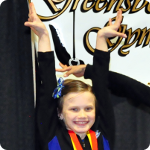 This competition was hosted by Champion Gymnastics in Louisville. 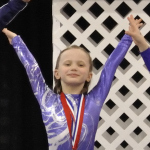 This was the second meet of the year for the 5 Star Gymnastics team. It was hosted by Top Flight Gymnastics at Randle Cooper High School. 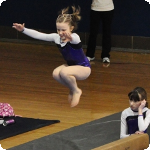 This was the first meet of the year for the 5 Star Gymnastics team. It was hosted by Champion Gymnastics. Today was another momentus day for the Wykle family. Many firsts were accomplished today. Natalie (and five team mates) attend a week long camp hosted by OCG. The obvious draw of this camp besides the learning opportunity was the interaction with former Olympic gymnasts. Level 3 KY State Champion! 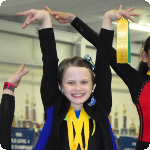 Saturday (04/18/09) marked the end of a very productive gymnastics season for the 5 Star Gymnastics level 3 team. The 5th and final meet took place in Hopkinsville, KY at Angles Gym. This meet wraps up the season as the KY State USGA meet. Copyright © 2019 Wykleville. Powered by WordPress.